Amphibious excavators have been due a revamp, with REMU redesigning and improving its version, the Big Float amphibious excavator. 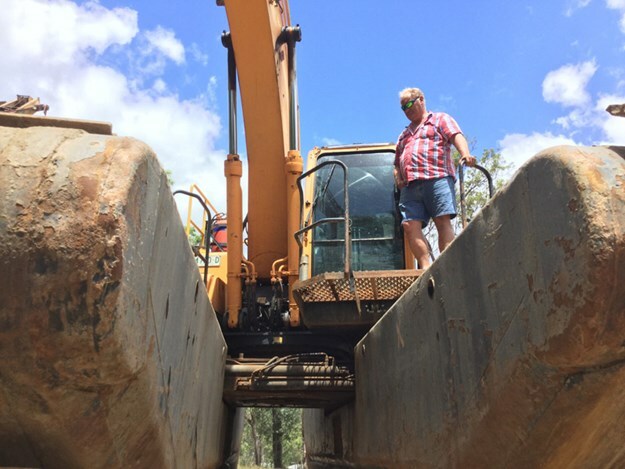 Ron Horner spoke to REMU and Australian contractor Andy Haggarty about the drawbacks of older amphibious excavators and how the Big Float has pushed forward this machine’s evolution. 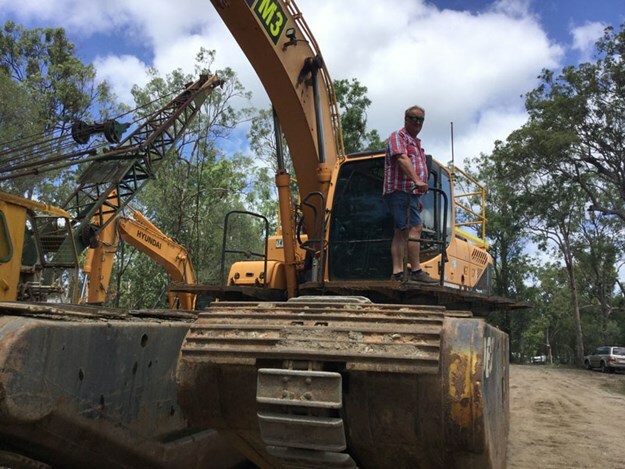 I am very fortunate that in my field of so-called expertise I have the opportunity to meet up with many of the earthmoving "movers and shakers" during my time sourcing interesting stories for you guys to, hopefully, enjoy. Over the years I have expressed a big interest in excavators (my passion) and how the industry is evolving after 40 years of being in the game. During this remarkable journey of searching for the best articles and topics I have also shown a great deal of interest in amphibious excavators and how the advent of these machines has opened up a new avenue of opportunity for contractors, environmentalists, conservationists, farmers and anyone else requiring an excavator for on-water works and difficult to access swamp areas. Much to my delight I received an email from REMU Finland saying that its sales executive, Jari Niemi, would soon be in Australia and would like to meet up with a few guys interested in REMU’s innovative design of its amphibious excavator pontoons and excavators. Anything new and excavator-related has me interested so I took up the invite and the ensuing meeting opened up my eyes to what is achievable when the manufacturer, design engineers and operator/contractors put their heads together to achieve a remarkable and practical outcome. Floating excavators or amphibious excavators are not new by any means and in most other countries have a firm market and a strong foothold (other than in Australia). Australians tend to be a bit slow on the uptake when it comes to something unusual, out of the box and different but I have been a big supporter of these types of machines for many years now and have seen and been involved with the transformation from them being viewed as "freakish" to now being accepted as a must-have item of plant in the aquatic weed management field in which these machines just shine. 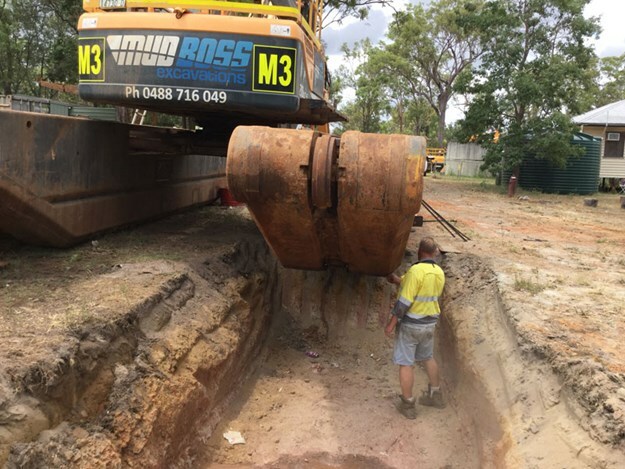 In Australia, and particularly Queensland, there is a contractor that most companies call upon, if not for his knowledge in the industry but for his experience in amphibious long Reach excavators. Andy Haggarty, the subject of this issue’s contractor profile, has been involved with amphibious excavators for many years and has a wealth of knowledge both in design ideas and application of the machinery it entails. The meeting was confirmed so that Haggarty and I could be present and so, in a quiet little Brisbane pub, we met up with Niemi from REMU Finland to learn more of the newly designed amphibious pontoons manufactured and exported out of Finland. Conventional pontoons have survived, and will continue to do so, because there is little interest in changing something that seems to work within the capabilities of a certain machine. However, when you talk to owners, operators and clients there are some things that in their opinion would require modifications and that is the track design and travel motors’ lack of power and speed. The flotation of the existing design is not an issue but the high wear rate and costs of a set of conventional amphibious excavator chains is horrendous and the lack of power and speed out of the water are maybe the biggest issues facing the Amphibious Excavator market today. Enter REMU … the answer to the issues facing anyone with an amphibious excavator. REMU has designed a modified version of the existing pontoons out of its Finland factory that nullifies all the issues outlined in the previous paragraph. The conventional square-shaped pontoons with conveyor-like chains and underpowered track drive motors have been replaced in a very innovative and practical manner, albeit at a cost. REMU has re-designed and manufactured the new pontoons with an aerodynamic tapered V-shape pontoon base similar to that on a catamaran, adding strength and mobility in and out of the water with five watertight compartments on each side to ensure the machine does not sink if it happens to be inadvertently holed. The thick abrasion-resistant steel used on the wearing parts of the pontoon allow for long hours of use in mud and gravel bases in comparison to the 4mm-thick base plates in use on a more conventional amphibious base. Now all of that is good when you are in the water or on mud but travelling between on-site jobs has always been a nightmare with the conventional Asian-designed pontoons, especially with the travel motors being too underpowered. REMU has designed the pontoons to house conventional excavator track drive motors and conventional salt track chains, drive sprockets, rollers and front idlers, and in doing so has enabled the amphibious excavators to track long distances without breaks, have very little wear rates on the moving parts, and have cheaper and easier to access parts availability worldwide. This redesign has also removed the massive costs of replacing and/or repairing the older-style track chains at 2,000-hour intervals by pushing this replacement/repair period out to the 10,000-hour mark. Haggarty has only recently procured a REMU Big Float excavator from North Qld (albeit well used) and completed some urgent repairs prior to sending it out on a 12-month job in a salt lake in WA where it walked a whopping 680 kilometres in a salt encrusted lake. I would say that a conventional amphibious track chain machine would not walk that far in its life, at least out of water. This amphibious excavator has been designed to operate in challenging conditions and terrains where reliability has immeasurable value. This specific project could not have been completed by any other means if not for the design of the REMU amphibious pontoons, which were fitted to a 21t Hyundai excavator. This machine has a long reach excavator arm fitted and can excavate to 16m, has multiple buckets and attachments, needs a good paint, replacement of a set of walking and track frame gear and some slight panel damage from the previous owner and Andy reckons that it will be good for another 16,000 hours of walking (yep .. that’s what they got out of the original track gear). The beauty of this machine is that it is able to hydraulically close up the track frame to a legal width of 3.5m and when on site expand to a safe water working width of 4.8m. 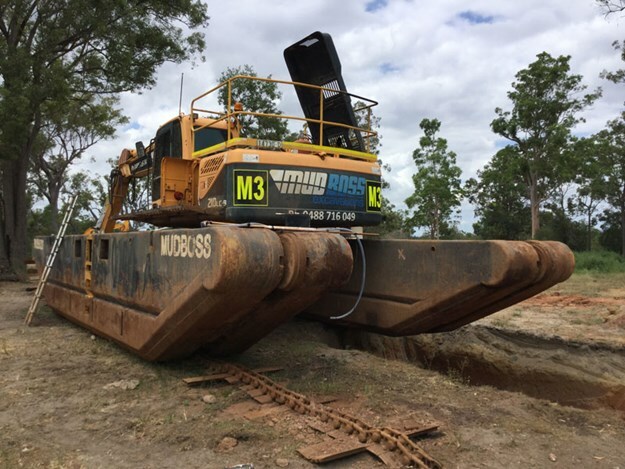 When you take into account that this machine has a reach of 16m the operator can work an area in excess of 800 square metres from the one position in shallow muddy and swampy areas. That is efficient! 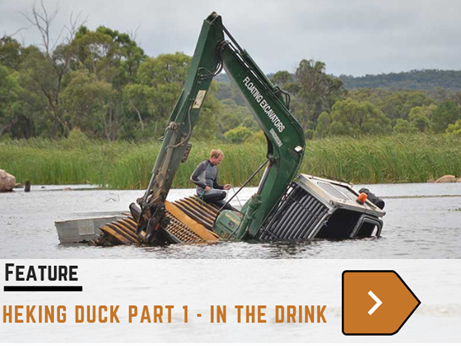 REMU is more than an amphibious excavator pontoon manufacturer in that it designs and manufactures world leading screening buckets, padding buckets for pipeline trenching backfill and mobile screening plants and is proudly supported in Australia by Boss Attachments. When you consider that the additional customised options available for the floaters include various buckets, weed and root rakes, different track pads for multiple specific purpose, additional pontoons for external use to add buoyancy in deep water, anchoring legs, propellers and a lightweight replacement counterweight fitted with guard rails and an external additional fuel tank to counter balance the machine it is no wonder I needed to talk to Niemi. Exporting these worldwide these days is a challenge due to the Australian dollar exchange rate but REMU has set up a new base in the United States, which has helped push the product into the largest market in the world. Australian prospective buyers could ill afford not to contact REMU when contemplating a purchase of an amphibious excavator pontoon to fit to the excavator of choice, you will pay for it but for those professionals whom look towards cost reduction and less downtime over the life working period of a machine – you won’t go better.